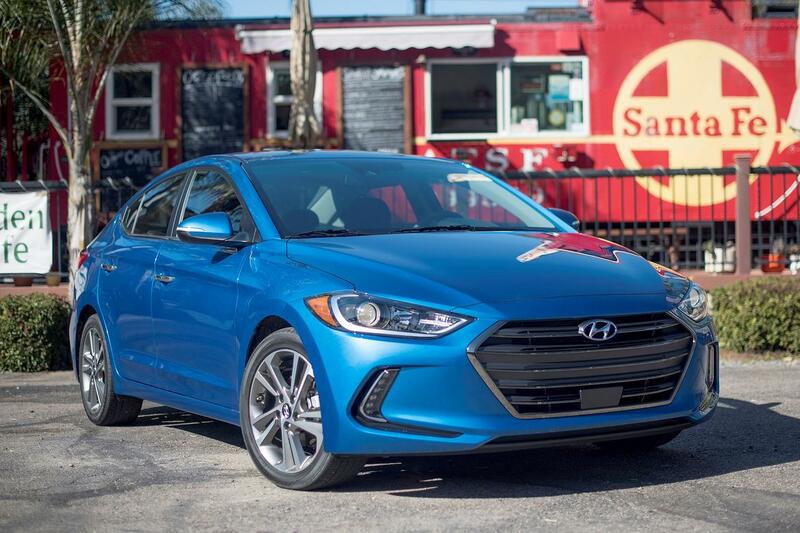 the 2018 hyundai elantra compact sedan has earned a top safety pick plus rating, the highest accolade awarded by the insurance institute of highway safety — with a couple of asterisks. the top rating applies only to elantras equipped with the optional front crash prevention system with automatic emergency braking plus optional headlights that include high-beam assist. the top overall rating also applies only to elantras built after december 2017, when hyundai beefed up the door hinge pillar and door sill to achieve an acceptable rating (one step down from the top score of good) in the new iihs passenger-side small overlap front crash test added this year. previously, the small overlap test was administered only on the driver side. to earn a 2018 top safety pick plus, a vehicle must get the top good rating in the driver-side small overlap front, moderate overlap front, side, roof strength and head restraint crashworthiness tests, as well as an acceptable or good score in the new passenger-side small overlap test. it also must get an advanced or superior rating for its front crash prevention system and a good rating for the headlights - although both of these can be based on optional equipment not included on all models of the vehicle. the elantra's optional front crash prevention system with automatic braking and pedestrian detection earned a superior rating, avoiding a crash from 12 mph in the track tests, and it reduced the impact from 25 mph by an average of 22 mph. the optional high-intensity-discharge headlights with high-beam assist earned the top good rating, but the standard halogen lights got the bottom score of poor. the elantra's rating applies to four-door sedan models. the 2018 elantra gt hatchback earned a top safety pick rating, but not a plus because the best headlight option got only an acceptable score. the elantra's rating matches the top safety pick plus ratings for some 2018 compact sedan rivals, including the subaru impreza and kia forte. most others, such as the toyota corolla, are top safety picks but have not yet been tested for the passenger-side small overlap front crash that could earn the plus. unlike the elantra and most others, however, the corolla has a front crash prevention system with automatic braking standard. you can compare elantra's iihs scores with rivals here. other optional safety technology available for the 2018 elantra sedan includes lane departure warning, lane keep assist, blind spot warning and rear cross-traffic alert.